The pretty apartment complex lies on a hillside in a wonderful, quiet location about 350 m. from the lake and from the town centre. The holiday apartment comes with satellite TV and radio. You have a lovely view of the lake. Inside there is an entrance hall with a reception desk, seating and games. In the cellar you will find a washing machine, a tumble dryer and a drinks fridge, in case you don’t want to bring your own. You can try out our bakery catering service as soon as you get up in the morning. Outside you will find a sunbathing lawn with our very own playpen and a barbecue area. You can relax in the sauna or the solarium. 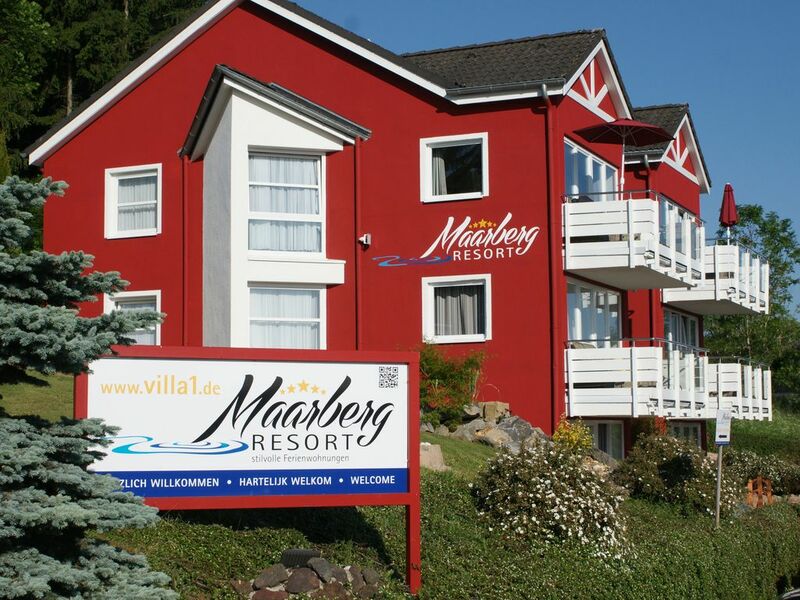 Schalkenmehren, the well-know lakeside village, lies at the heart of the Vulkaneifel region, set in a wonderful landscape of low-lying mountains ideal for practicing sport and other leisure activities. There are many lakes and maars (crater lakes) in the area. You will find an attractive selection of excursion destinations in the surrounding countryside. There are many good places to eat out and go shopping as well.